The Wish Tower, a Martello Tower on the Eastbourne seafront, has a unique history, ranging from its original use as a defence against a potential Napoleonic invasion in the early 1800s, to a lookout point for the coastguard, right through to housing museums and puppet shows. A local campaign in the mid-20th century saved the iconic building from demolition, and today restoration work is ongoing so that its significance is there for all to see, and it has also been listed as a Scheduled Monument by Historic England. Telling this tale are the Wish Tower Friends, a group of volunteers who dedicate their time to helping the challenging conservation effort, so that the story of the Tower can be shared with the wider community. A vital part of their work includes running tours of the site to spread the story of the role the Tower has played throughout the years. Sadly, however, the Wish Tower Friends alone cannot possibly cater for the thousands of visitors that take a look around the Tower every year. This is where TechResort, a not-for-profit company who run tech-themed after-school sessions for children and help deliver projects such as this one, became involved. Some of their young people, supported by more experienced staff, have spent just over a year working on a device (named Info-Fi) for the benefit of visitors to the Tower, with funding kindly provided by the Heritage Lottery Fund. The device delivers content to any Wi-Fi enabled devices such as smartphones or tablets. This content has been written by the “TechResort Teens” group, with help from some A-Level History students at Sussex Downs College’s Eastbourne campus, with sections for each area of the building containing pictures and historical facts. The lack of mains electricity on site posed design issues for the team, so a solution involving a solar panel and batteries was engineered to ensure that the content is always available. 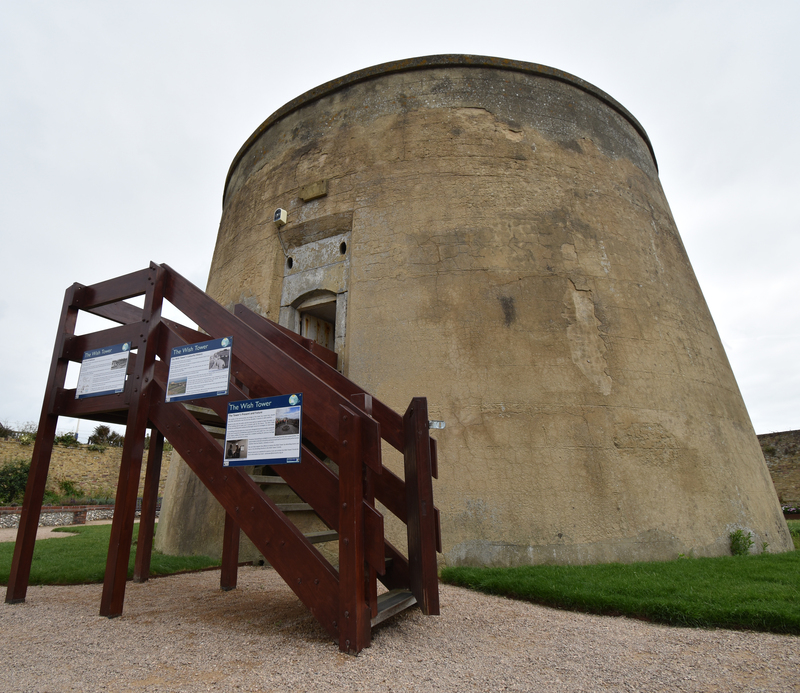 Firstly, the device and its content will allow visitors to find out more about the history of the Wish Tower than the existing interpretation signage displayed around the site currently allows for. This allows visitors and the wider community to understand the historical significance of the Wish Tower. Secondly, the young people and others who have been engaged by this project to bring digital interpretation to the site have been inspired by the history of the Wish Tower. They have also built up a valuable understanding of a wide range of skills, from hardware and software development, to historical research and writing, to photography and project management. You can email contact@infofi.wishtower.org.uk with any queries.